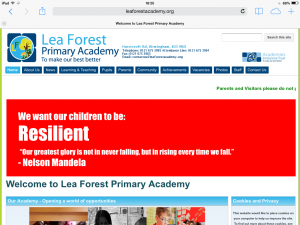 How is that for forward thinking! We heartily agree. Thank you Joshua and we hope you, your teacher and the others in your year really enjoy using the iPads at school and at home. 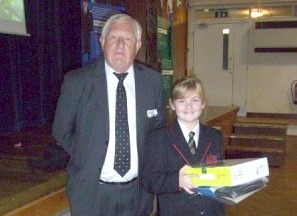 Some extremely happy pupils at Hallmoor have received their iPads through the BeLF scheme. 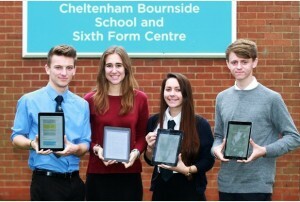 Hallmoor introduced iPads two year groups in their school. 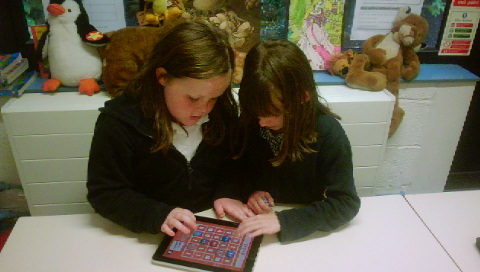 The children completed tasks set by teachers and then explored Apps that are available. They are going to be used in school for a while before the pupils take them home so they get used to them as educational tools first. Good luck with the project Hallmoor. 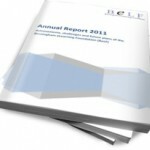 BeLF keeps its costs down by using the ‘Working from Home’ model. Which is why we are quite reliant on e-mail and the social media to keep in touch. It also explains why Ian is often at McDonalds or working from Starbucks or Costa between meetings . We also find the co-working space and community at the Moseley Exchange www.moseleyexchange.com very useful and helpful when we need a space that feels like an office. Ian tries to work from the Exchange most Tuesdays if you would like to drop in. BeLf is proud to announce one of the first prize giving’s of the BeLF competition. 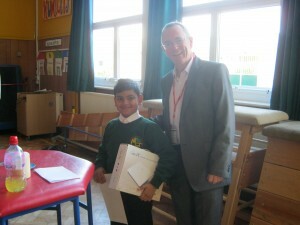 BeLF attended Hillwest Primary school to present the prize to Ali the winner of the age 7-8 category. We had around 300 entries and were overwhelmed by the high quality of the entries, the panel thoroughly enjoyed reading each entry.